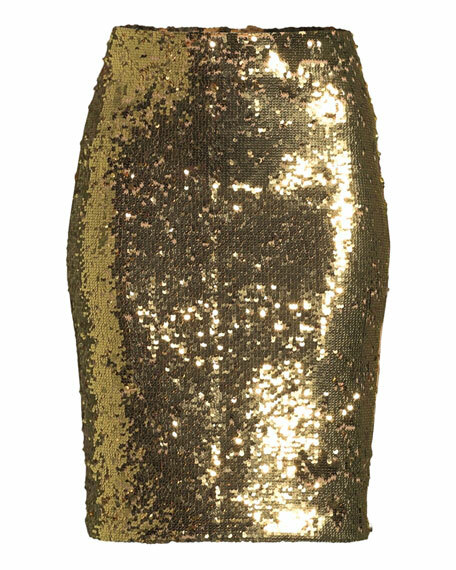 Alice + Olivia "Ramos" pencil skirt with sequins. Approx. measurements: 23"L front and back. For in-store inquiries, use sku #2705443.